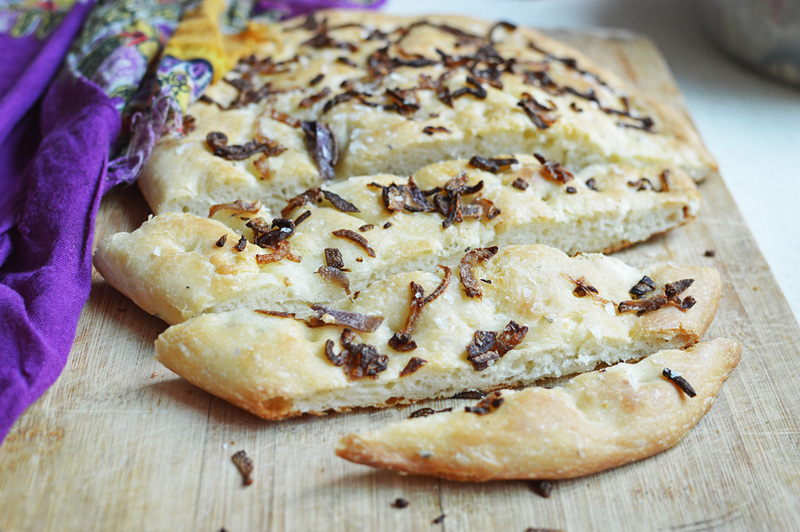 As a lover of all things carbohydrate and more specifically bread, flavourful focaccia is probably among the top five things I want to be seen dead with. There’s an almost borderline obscene love that I treasure for this bread. I mean honestly, it’s flat, chic, flavoured, reeking of olive oil and begs to be torn mercilessly into choicest shards, to be shovelled into your mouth with absolutely no regrets. This to me works as an appetizer, a full meal, a snack, a towel to wipe my tears, a snug bed that doesn’t judge me, a mop for gravies, a lover, a husband….. 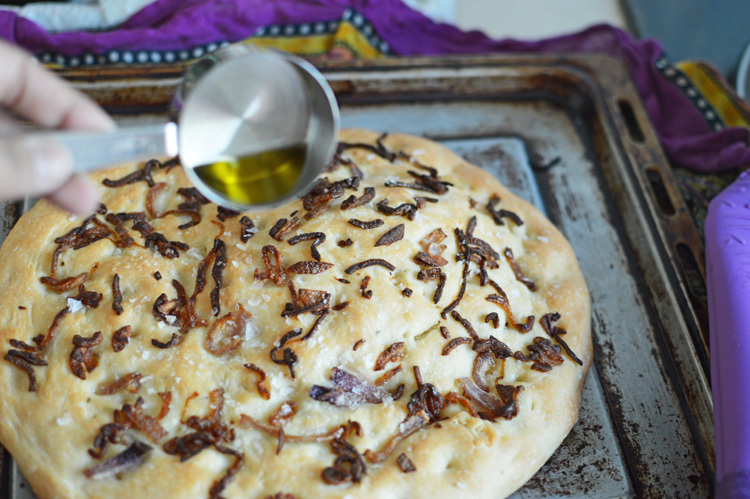 This blog already has a garlic basil focaccia recipe, and the premises for this wonder are no different. 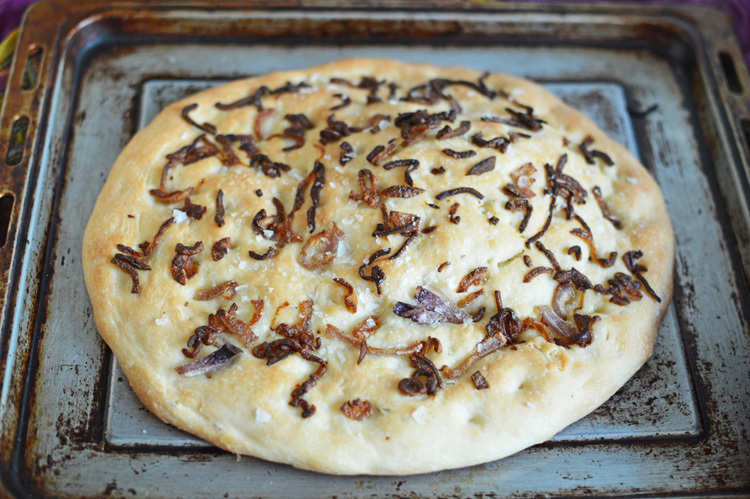 Onion somehow lends a sublime sweetness and when it’s caramelized dark with crispy edges, it makes this bread go places…Basically my kitchen to my bed where I spend all night fighting my body image issues with this lovely bread. 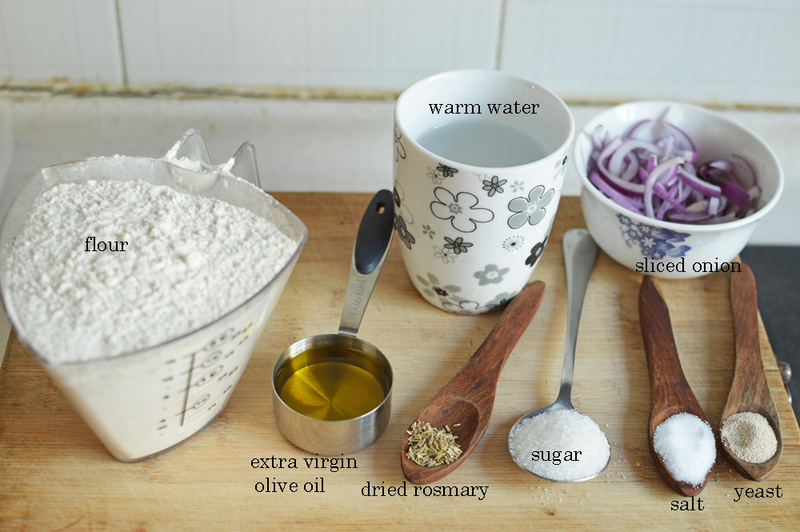 regular bread stuff; flower, olive oil, warm water, yeast, salt, sugar, dried rosemary and sliced onions. I’m using dried rosemary because I have no fresh ones available, but if you do please go ahead and up the quantity a bit. followed by yeast. 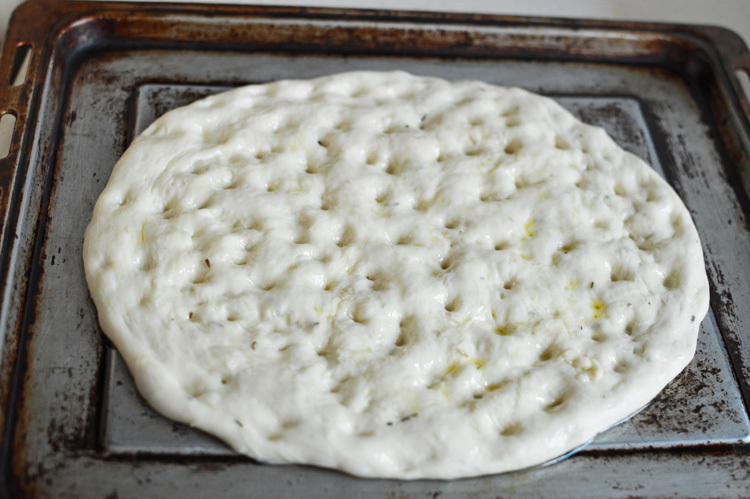 followed by a ten minute wait to let the yeast foam up. followed by the foamy water. and our star of this show.. the studly extra virgin olive oil ( about half of the total quantity), that shies from rough handling. 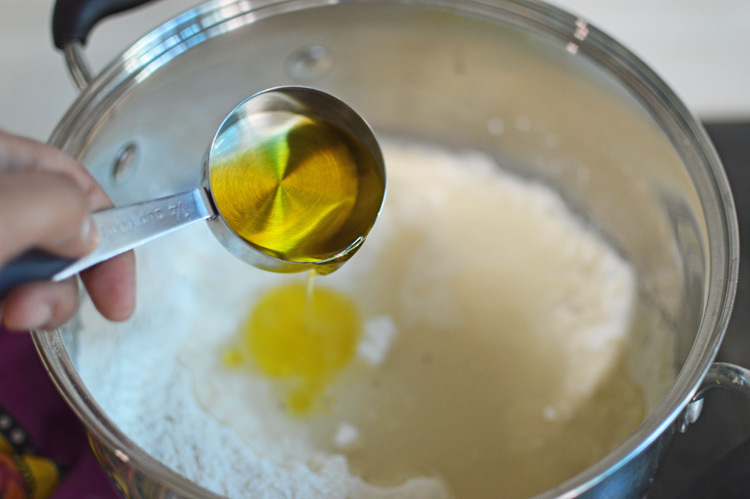 Knead to make a smooth dough. something like this. 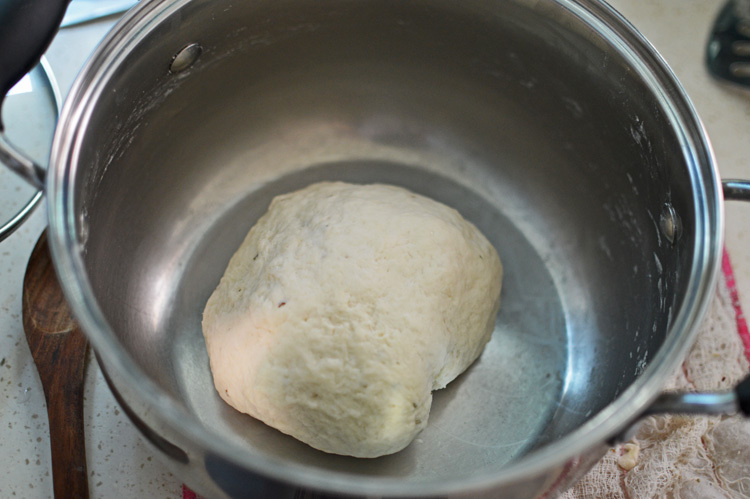 I kneaded the dough for at least 10 minutes, but in case you have a mixer of sorts go ahead and make your work easier, only you won’t love this bread as much. We have to let the bread rest to puff up and become more bread like. 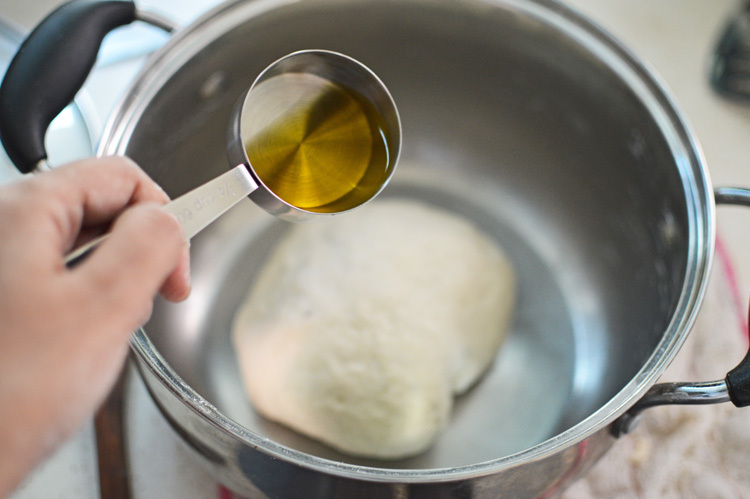 So back into the bowl smeared lovingly with some more olive oil. 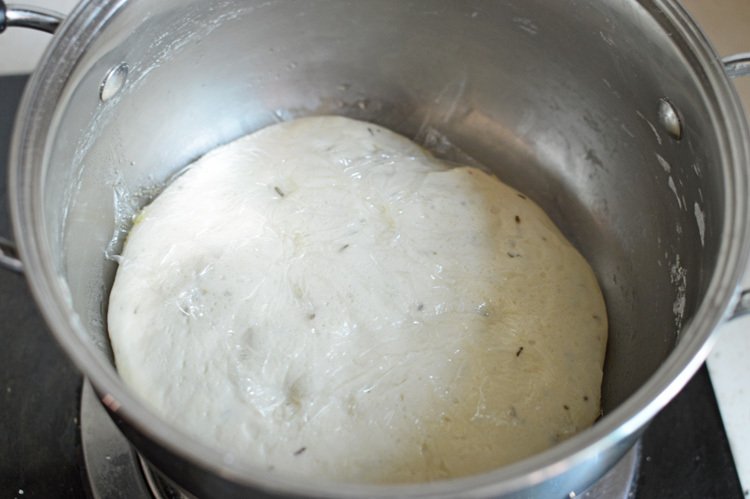 Cover well and let it rest for at least an hour or until the bread has doubled in size. Mine almost took two hours. It’s cold here. 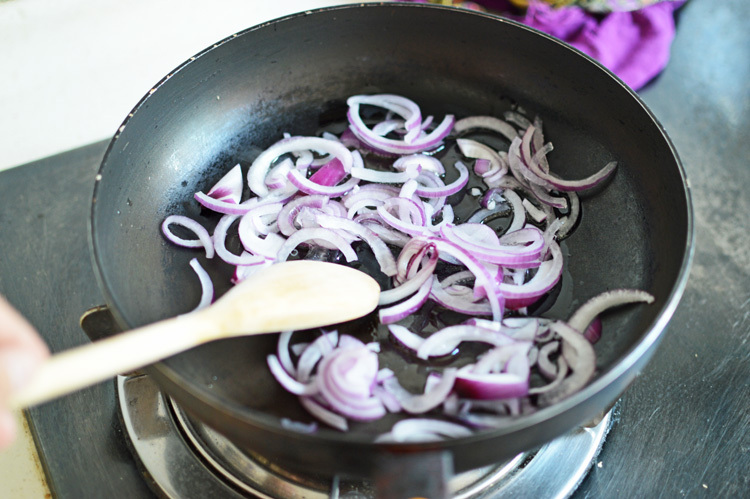 in the meantime, let’s get cracking with the onions. 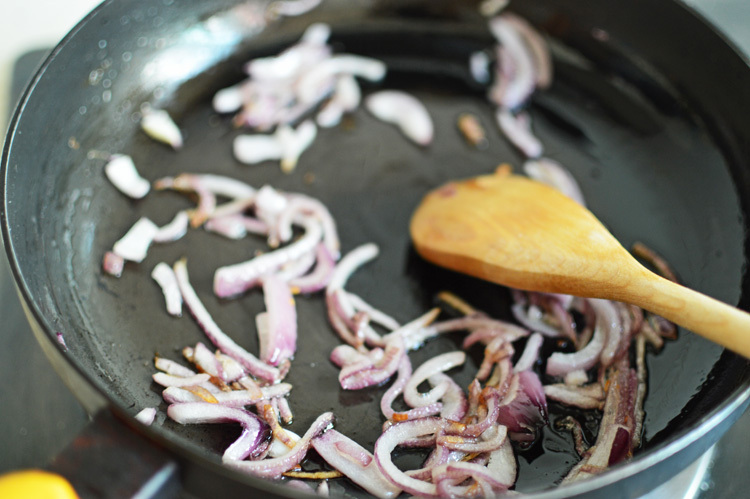 a frying pan on medium heat and a tablespoon of regular olive oil, just to get the onions sweating. Now we’re talking. This is after about five minutes of cooking. They’re perfect like this but I like them a bit more caramelized. 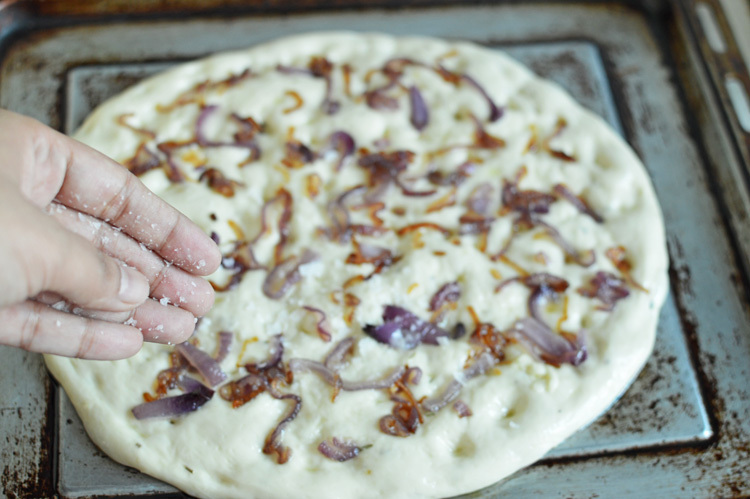 Reserve until the dough is ready. which might look something like this. 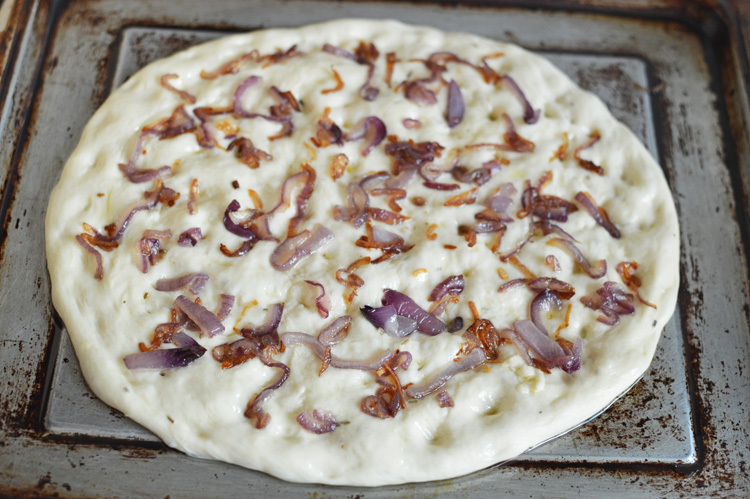 It’s aromatic and gorgeously flecked with rosemary. 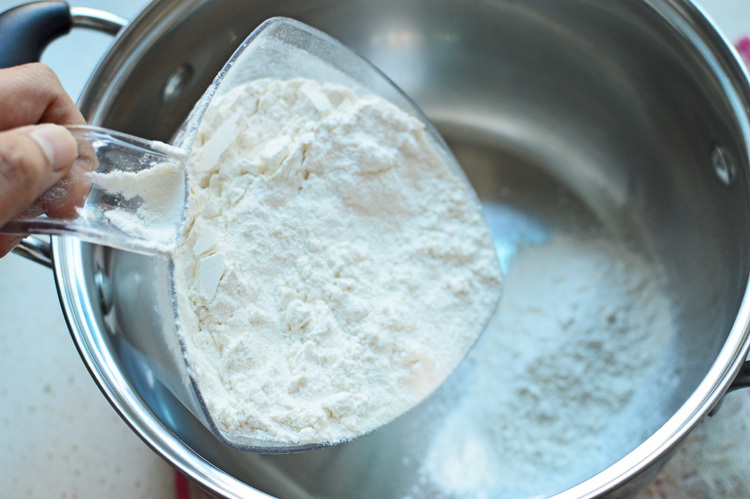 Punch it down and knead for a minute. 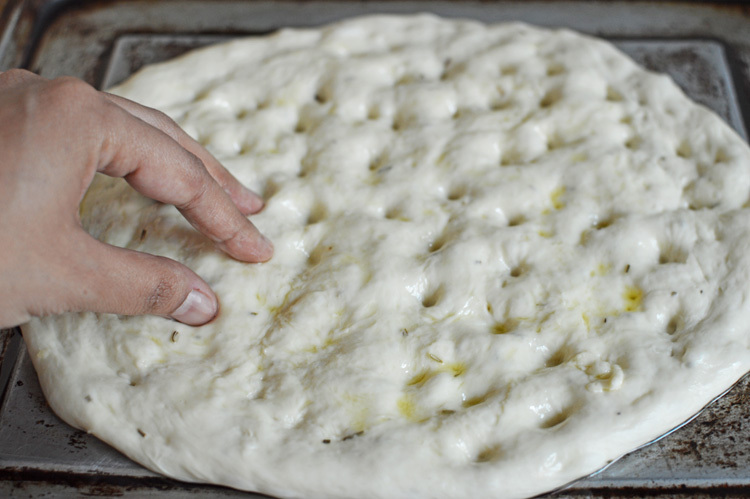 to have the kneaded dough sit on. 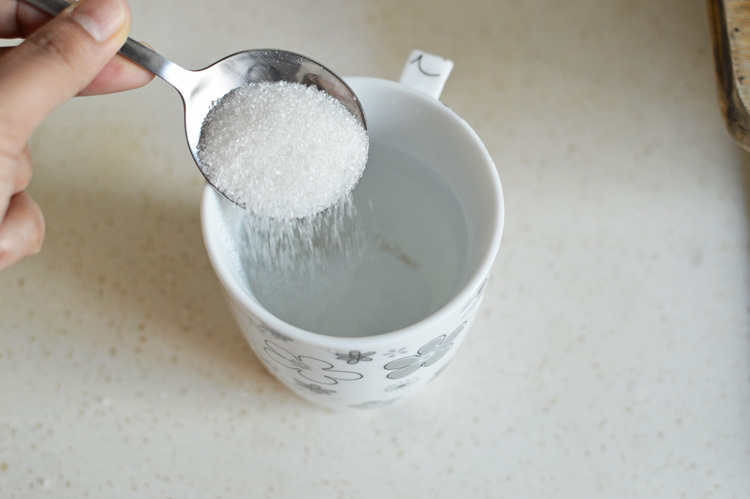 like so, without making it too thin. 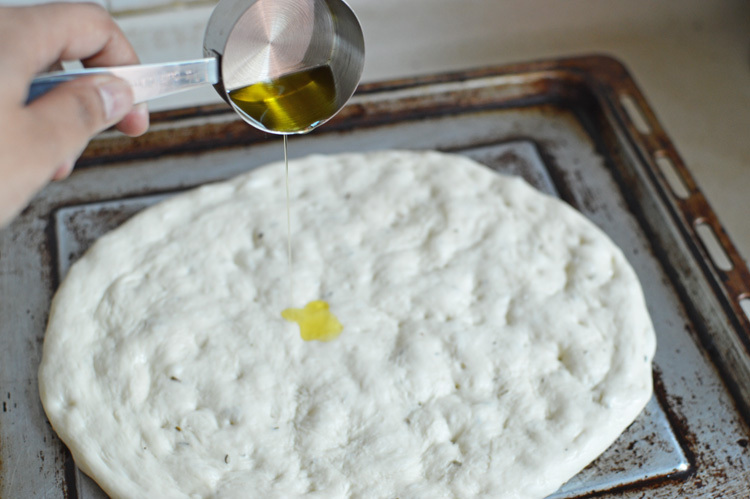 Spread some more olive oil and..
give it that characteristic focaccia dimpled look, by simply pushing in your fingers deep to make pretty little dents and have the oil pool in them. so pretty! like so. 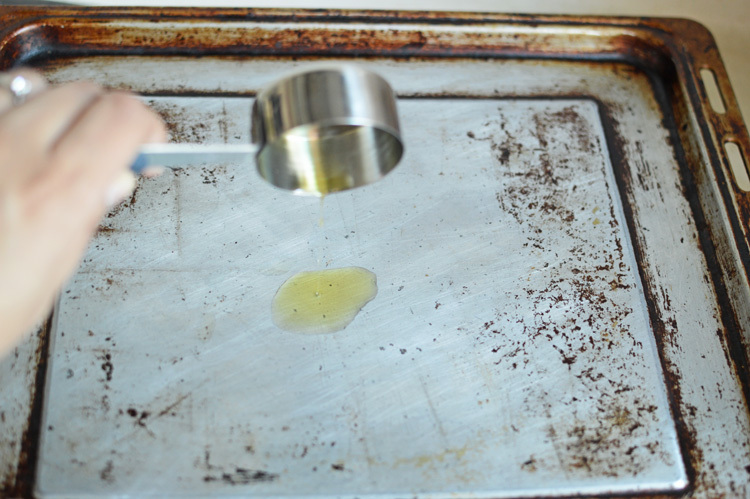 If at this stage you feel that there isn’t enough oil on top and that it looks dry, just pour in some more. 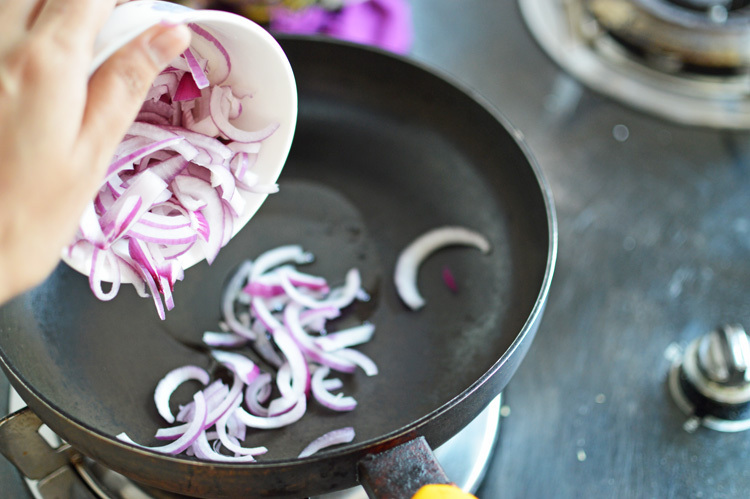 This looked perfect, so onions now. like so. Make sure to push them in, or else they won’t stick. 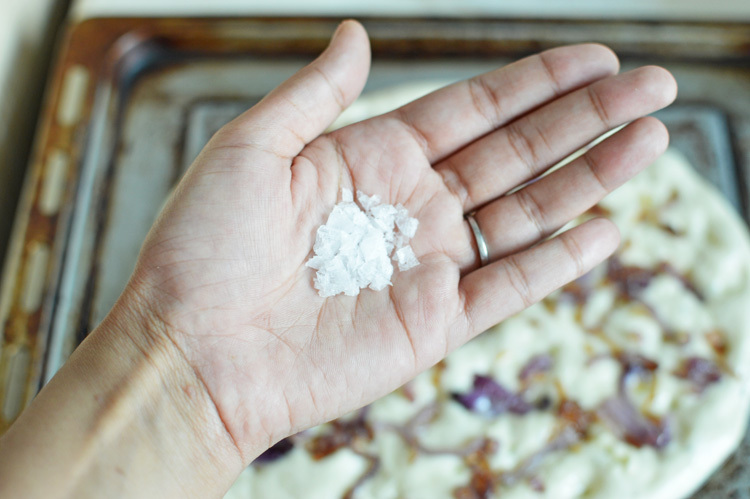 Now for some wonderful smattering of crunchy sea salt, for what is focaccia without a smear of sea salt? some more extra virgin olive oil for the top to gleam and glow. apply to face. 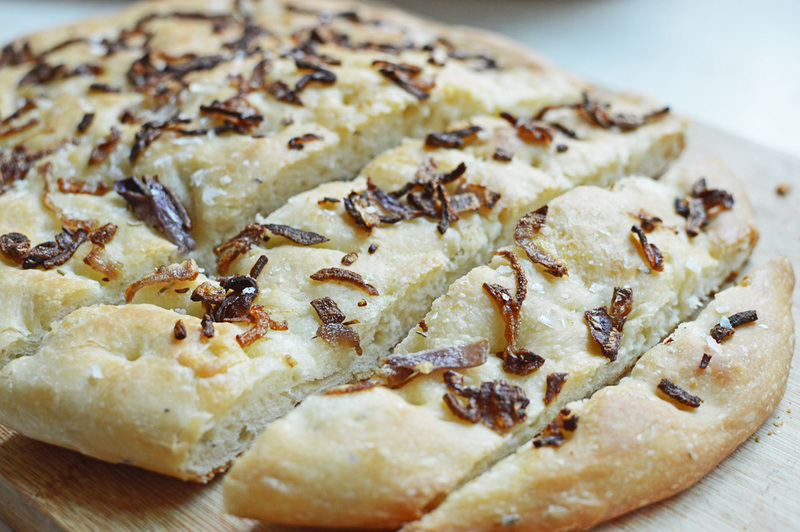 This bread is a breeze to make and a delight to eat. 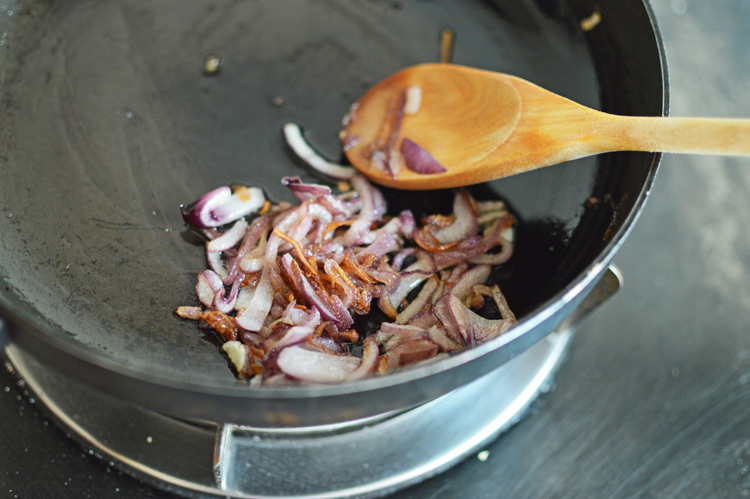 Dunk in more olive oil, or sauce of your choice and make a meal of it. 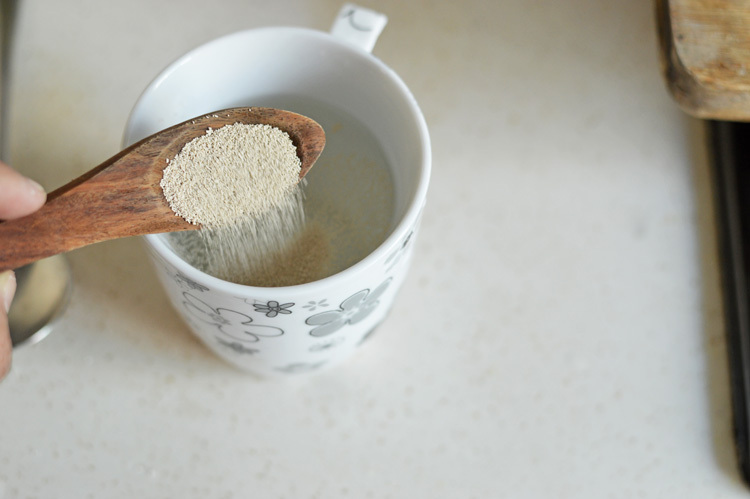 Preparation Instructions: Dissolve the sugar and yeast in warm water and leave for 10 minutes to activate and foam. 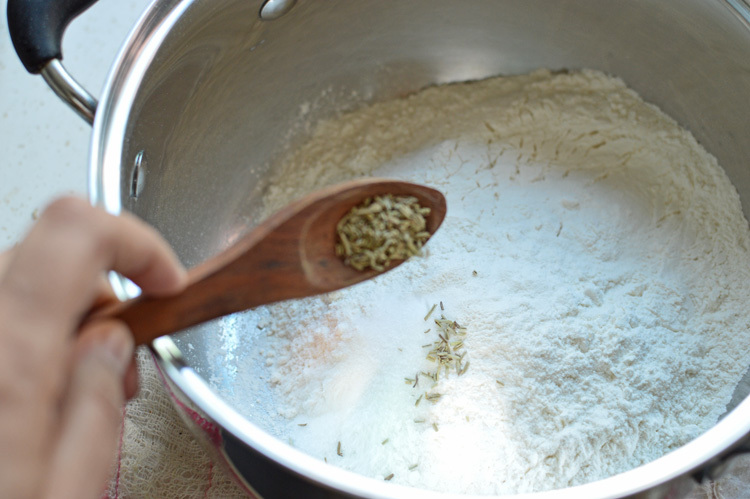 In a large bowl mix flour, rosemary and salt. 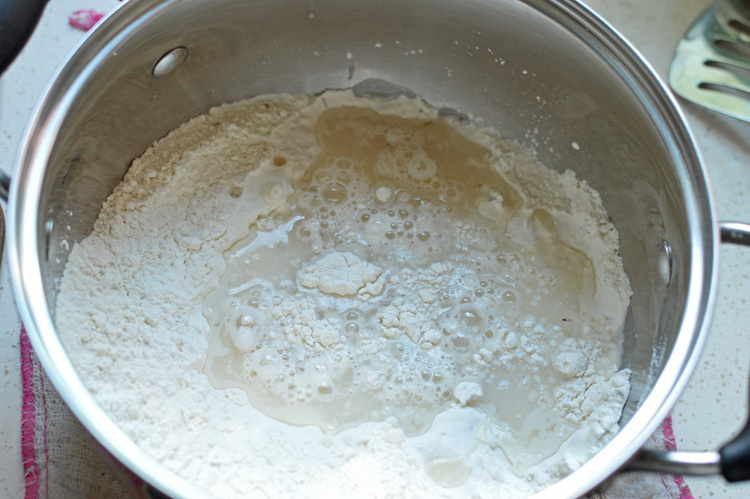 Once the yeast water has foamed, add into the mix along with half the quantity of extra virgin olive oil. 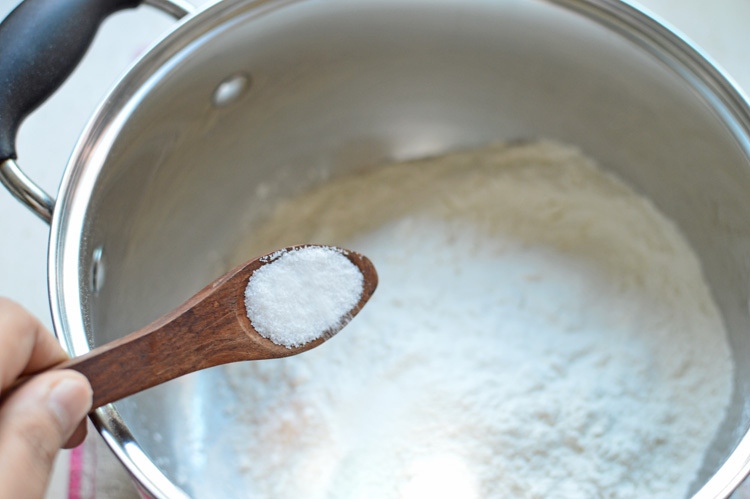 Knead to form a smooth dough (if the dough is too dry add more water, if it’s sticky add some flour) and let it rise for at least an hour or until it’s doubled in size. 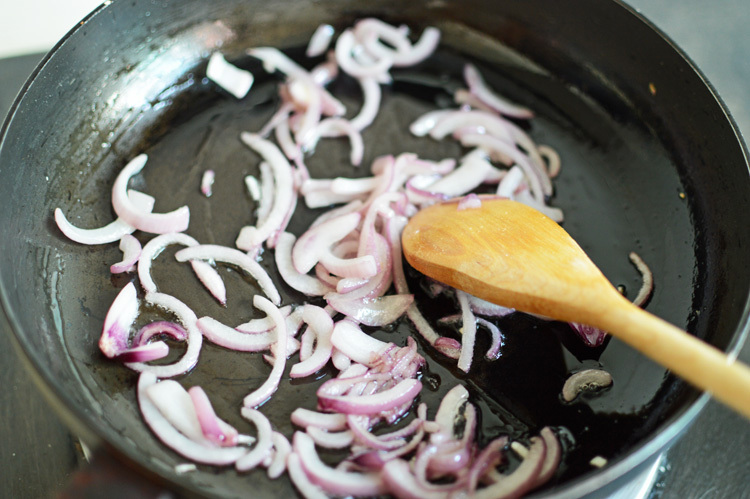 Cook onions on medium flame in some regular olive oil until soft and translucent. Reserve. 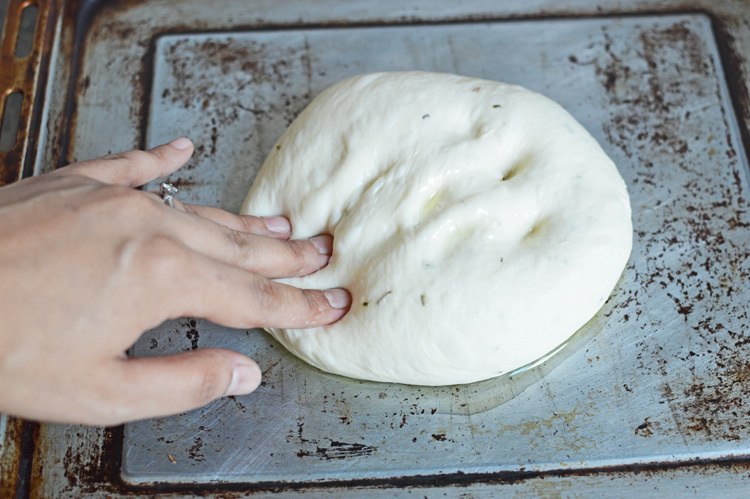 Once the dough has risen, knead it for another two minutes and flatten out on a well oiled tray (use a tablespoon of the remaining oil), making dimples with your fingers and add some more oil to the top. 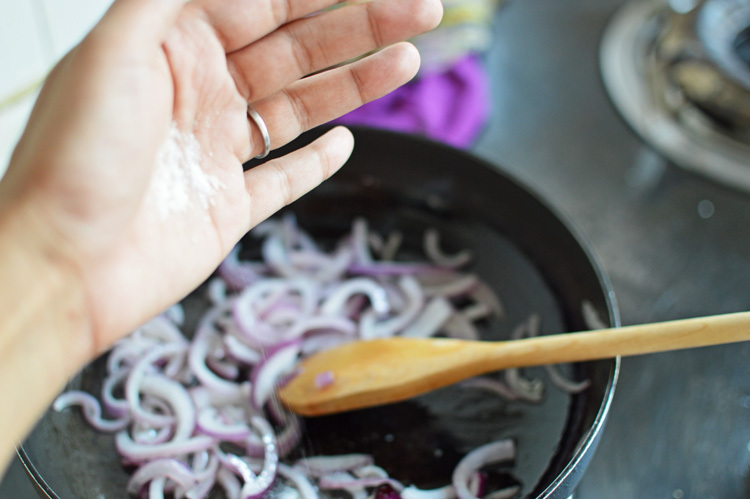 Spread the cooked onions on the top evenly and push them in so they stick. 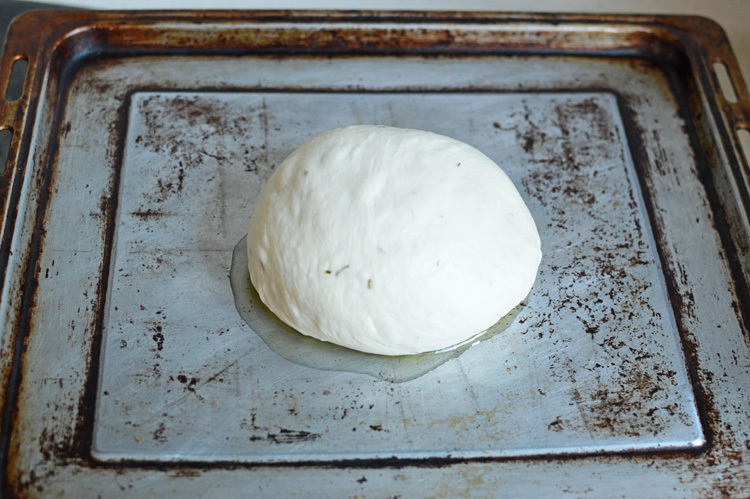 Wrap and let rest and rise for another 45 minutes. After the second rising sprinkle top with some sea salt and bake at 200℃ for 30-35 minutes, or until the top is nicely browned. 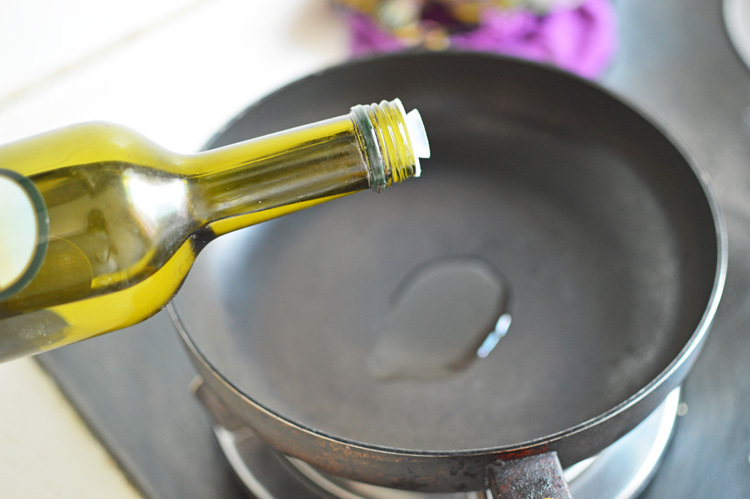 Brush the remainder of the olive oil on top and let it rest for at least ten minutes before you dig in. 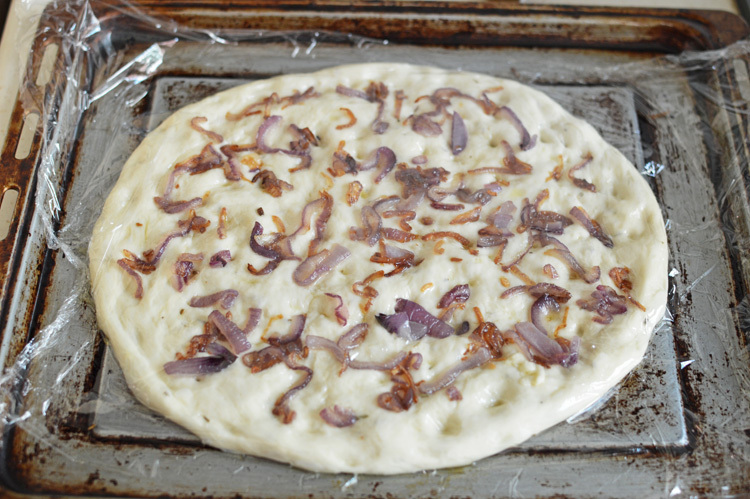 Posted on October 30, 2014 by driedredchilliesPosted in Baked goodies, Baking with yeast, DIYTagged bread, carbs, Focaccia, onion. 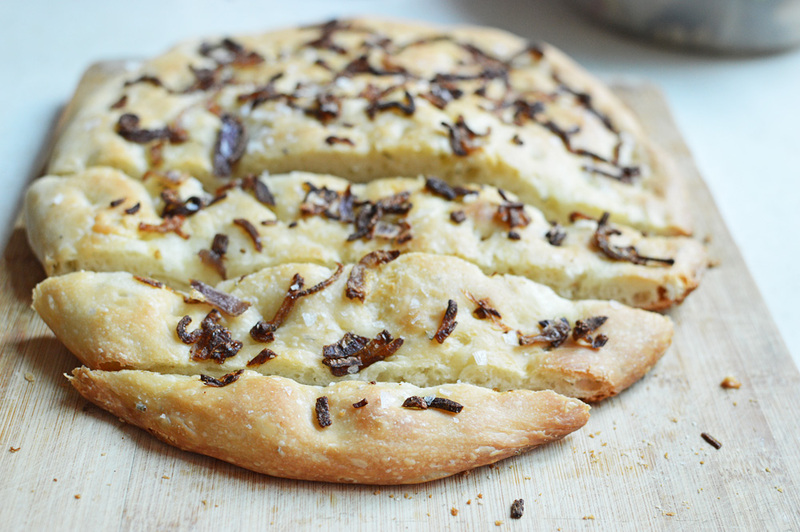 I am drooling looking at this focaccia! I LOVE bread too and this one looks awesome!